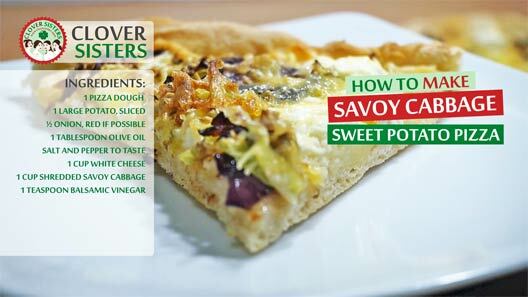 Healthy pizza, easy to make, brilliant way to get your children to love vegetables in the meals and introduce versatility into your family diet. Slices of onion and sweet potato toss with the half amount of olive oil and season with salt and pepper to taste. Lay it on the baking paper in thin layer and bake in oven preheated to 435F (220C) until potato is soften. Prepare the dough, it can be pre prepared dough, it’s really up to you. Season savoy cabbage and coat it into balsamic vinegar. Place pizza dough on the baking tray lined with the baking paper. Brush dough with the oil and spread pieces of white cheese. 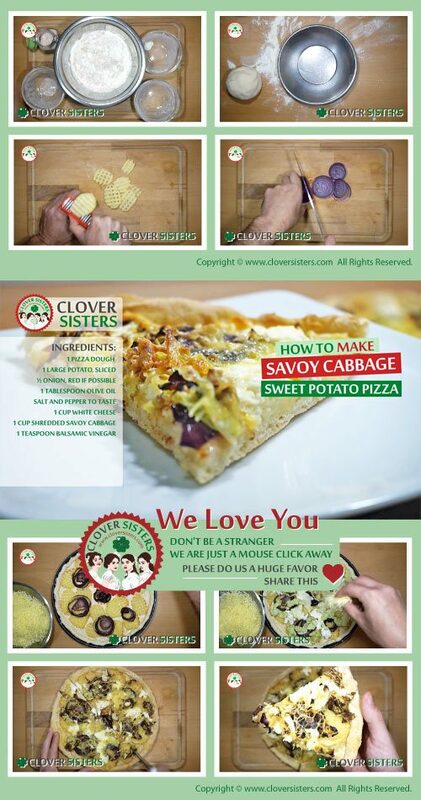 Add the savoy cabbage shreds on top of the pizza. Bake on 435F (220C) for about 10 minutes.